Thank you for signing the Guest Book for Sheila VanEmden. Please take a moment to sign the Guest Book for Sheila VanEmden. I was saddened to hear of Shiela's passing. She will always be Mrs Van Em to me. Like Elizabeth Gibson wrote, the Van Emdens were a big part of my childhood and adult life. 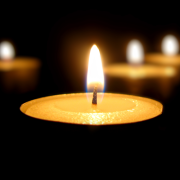 Sending condolences to Jack, Paulette, Cathy, John and Mandy. Rest peacefully Shiela. Say hello to Mum from us. RIP Sheila, thank you for efforts during the war. You and Jack and family were very much part of my childhood, loved being at your Epping home, watching TV, playing with Paulette and Cathy and having a carefree fun time. Thank you for your friendship with mum, Elizabeth (dec) and dad,Charles, a very long friendship of 70 years. Send me a daily email when updates are made to the obituary or Condolence page for Sheila VanEmden.